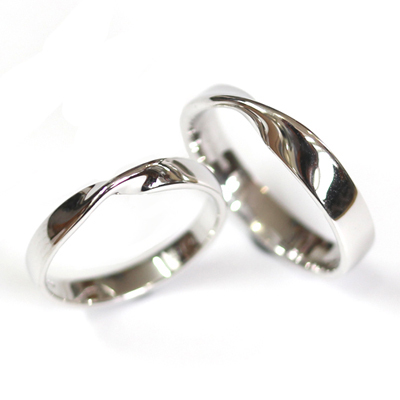 18ct White Gold Matching Twist Wedding Ring Pair — Form Bespoke Jewellers Ltd. 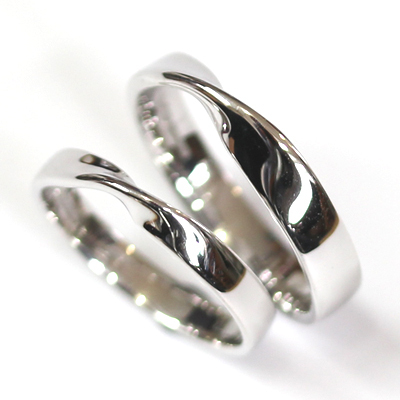 The couple returned to us for this twist wedding ring pair. This wedding ring set is a beautiful example of how we can create matching rings for you and your partner. The elegant twist style is inspired by one of our previous commissions and allows the wedding ring to sit comfortably against the bride’s engagement ring (which was also created by us here at Form Bespoke Jewellers). For the groom, the twist wedding ring on it’s own looks both stylish and sophisticated. The couple chose to have both rings cast in 18ct white gold to match the bride’s engagement ring. Then they were hand finished and polished in our Leeds workshop. We have also created a similar wedding ring style to this which is diamond set. Many of our customers are inspired by our previous commissions which you can see in our online Portfolio. Alternatively, we have a selection of silver samples in our Leeds showroom.